The adorable and sugar-free Chocolate Bunny from Lilly Bean Market is hopping into town for a limited time. 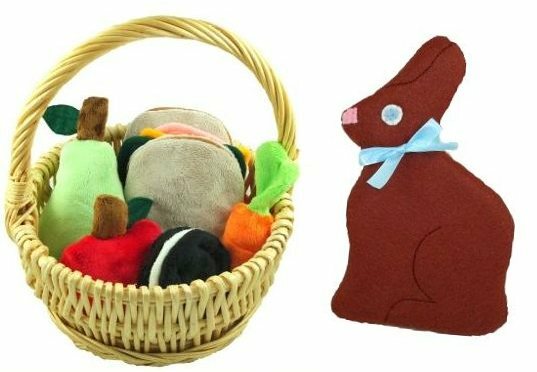 Made special for the Easter season only, this sweet treat is the perfect chocolate bunny for your child’s basket. Made with 100% wool felt, plus cute extras like the little bow! Plus right now, if you spend $20 or more at Lilly Bean, you’ll score a free reclaimed Easter basket. You get a nice reuseable basket free of charge and a basket is kept out of the landfill – what could be sweeter than that!? To get your free reclaimed Easter basket be sure to use the coupon code FREEBASKET at checkout. The adorable and sugar-free Chocolate Bunny from Lilly Bean Market is hopping into town for a limited time. Made special for the Easter season only, this sweet treat is the perfect chocolate bunny for your child's basket. Made with 100% wool felt, plus cute extras like the little bow! Plus right now, if you spend $20 or more at Lilly Bean, you'll score a free reclaimed Easter basket. You get a nice reuseable basket free of charge and a basket is kept out of the landfill - what could be sweeter than that!? To get your free reclaimed Easter basket be sure to use the coupon code FREEBASKET at checkout.